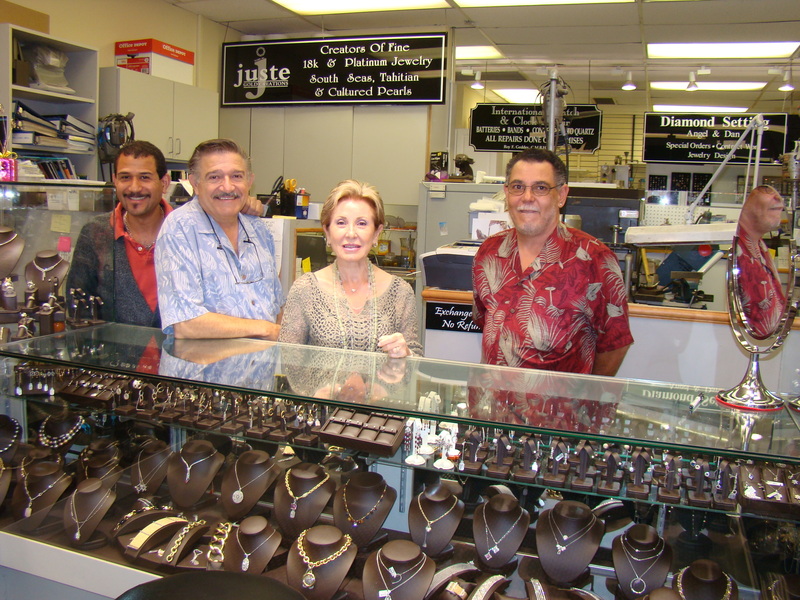 TURN YOUR OLD JEWELRY INTO NEW JEWELRY OR CASH! Here at Juste' Gold Creations, we specialize in Custom Designs and Special Order Work. Bring in your old and undesirable jewelry and let us redesign and turn it into a " Work of Art" in either 14K, 18K, and Platinum. All work is done on our premises by our experienced craftsmen team. We also specialize in Diamonds, Pearls and and Designer merchandise.